Had the Rangers managed to even the series at one game apiece, Texas would be favored to win it all (thanks to their better WP3 and home field advantage). Instead, the San Francisco Baseball Giants have positioned themselves as heavy favorites. 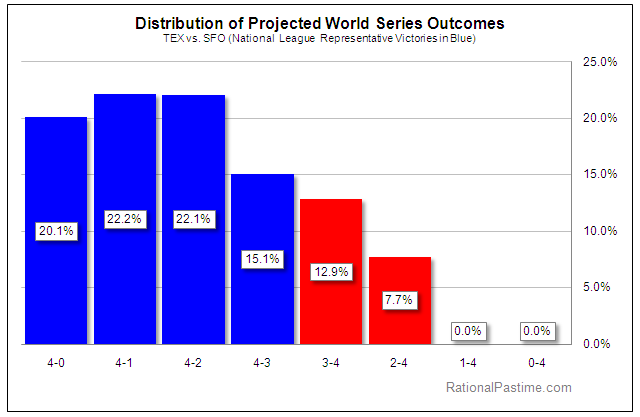 Projected World Series outcomes after the jump.